Architects and designers have always been been inspired by pyramids and several pyramid shaped buildings exists all over the World. 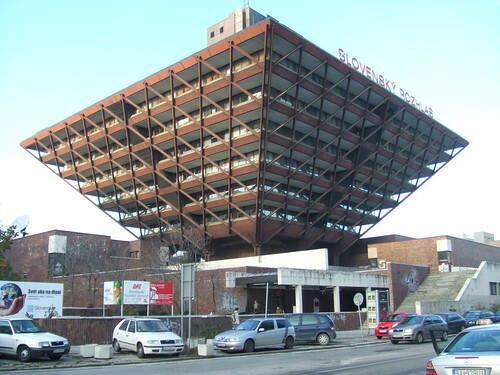 However the architects in Bratislava, Slovak Republic went one step further and designed an interesting inverted pyramidical shaped building for the Slovak Radio. 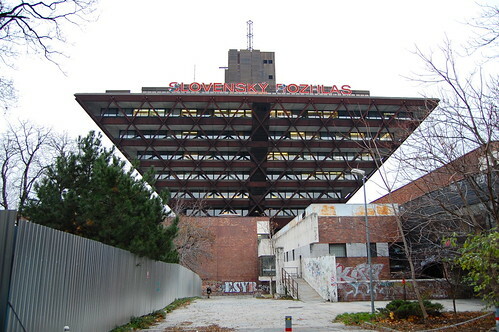 The building known as 'Slovenský Rozhlas' (Slovak Radio Building) was designed by Stephen Svetko, Stephen Ďurkovič and Barnabas Kissling. The project work was started in 1967 and construction was completed only in 1983. The building houses concert hall and recording studios for the Slovak Radio and has fifteen floors with a total height of 61 metres up to the roof and maximum width of about 74 x 74 metres square. There is another inverted pyramid at St. Petersburg Pier, Tampa Bay, Florida. However it is smaller than the Slovak Radio Building. Although there are several other buildings whose upper floors are larger than the lower ones, but I am not aware of any other buildings, except the above two, which are a true inverted pyramid. May be my readers can help me in finding some more of these inverted buildings. 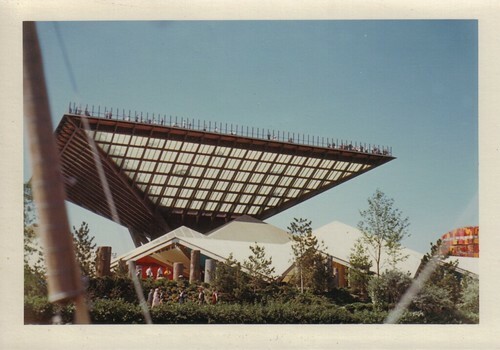 The Canadian pavilion at the Montreal 1967 International and Universal Exposition - Expo 67 was also a big inverted pyramid. However it was only a temporary structure and has since been dismantled. Credits: I am thankful to reader Downes for providing info about the Expo 67 inverted pyramid and sending the link of above image. Thank you Downes. Serendipity brought me today to another inverted pyramid shaped building. 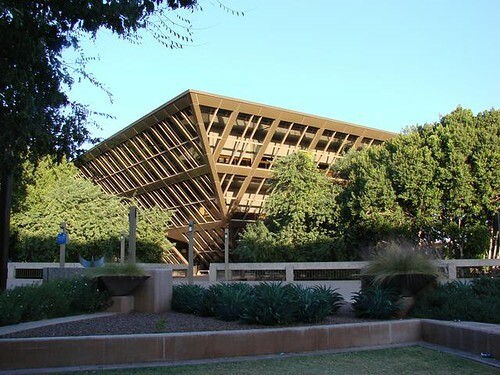 The City Hall of Tempe, Arizona, USA designed by local architects Michael and Kemper Goodwin is another example of inverted pyramid. The building is 3 storey high and its roof measures 126 feet (~ 38.4 metres) on each side. Completed in 1971, its inverted pyramid shape was designed to conserve energy by allowing less light into the building. In 1971, it received an award of excellence from the American Institute of Steel Construction, and in 1972 received an award of merit from the Western Mountain Region of the American Institute of Architects. There's 'Katimavik', the Canadian pavilion form Expo 567. Thank you Downes for info and the links about the inverted pyramidical pavilion at the Expo 67 held in Montreal. I will include this in my post. 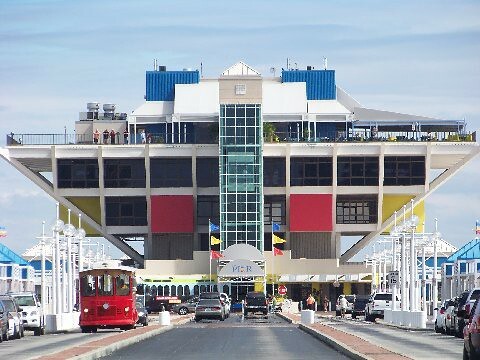 The City of St. Petersburg is set to demolish or renovate the existing Inverted Pyramid Pier. Many people have been working to preserve this architectural wonder. Please visit http://savethepier.org/ to learn more!